[S1505] Michael Davis, "re: Davis Family," e-mail message to Darryl Roger Lundy, 21 October 2005. Hereinafter cited as "re: Davis Family." [S6] G.E. Cokayne; with Vicary Gibbs, H.A. Doubleday, Geoffrey H. White, Duncan Warrand and Lord Howard de Walden, editors, The Complete Peerage of England, Scotland, Ireland, Great Britain and the United Kingdom, Extant, Extinct or Dormant, new ed., 13 volumes in 14 (1910-1959; reprint in 6 volumes, Gloucester, U.K.: Alan Sutton Publishing, 2000), volume V, page 221. Hereinafter cited as The Complete Peerage. 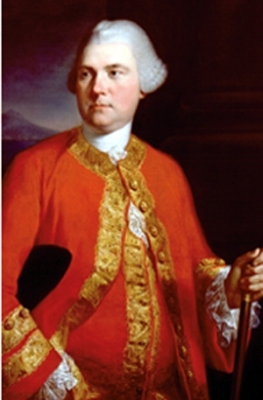 He gained the title of 7th Viscount Strangford. He was educated at Eton College, Windsor, Berkshire, England.3 He was educated at St. John's College, Cambridge University, Cambridge, Cambridgeshire, England.3 He held the office of Member of Parliament (M.P.) 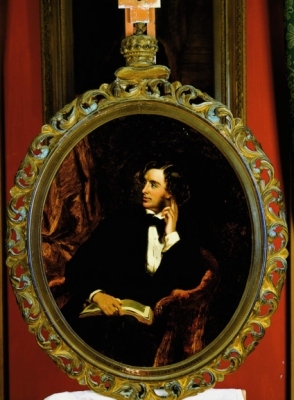 for Canterbury between 1841 and 1852.3 He held the office of Under-Secretary of State, Foreign Affairs in 1845.3 He gained the title of 2nd Baron Penhurst, of Penshurst in Kent [U.K., 1825] in 1855. [S6] G.E. Cokayne; with Vicary Gibbs, H.A. Doubleday, Geoffrey H. White, Duncan Warrand and Lord Howard de Walden, editors, The Complete Peerage of England, Scotland, Ireland, Great Britain and the United Kingdom, Extant, Extinct or Dormant, new ed., 13 volumes in 14 (1910-1959; reprint in 6 volumes, Gloucester, U.K.: Alan Sutton Publishing, 2000), volume XII/1, page 363. Hereinafter cited as The Complete Peerage.